Work perfectly. No issues. Well made and the current USGI Magazine contract holder for M14 Mags. I bought two at a gun show and work great in a very old M1A and also a much newer one. I am ordering two more from Brownell's today. Wasn't sure how well I'd like the Stainless steel look, but once I got it I was in Love! Just wish C.M.I. would make the 25rnd ones in Stainless too. Really nice quailty stainless,slick finsh! Several years ago I bought some M-14 mags (still wrapped in paper and sealed in plastic bags) at a gun show. These stainless steel mags look exactly the same, all the way down to the weld placement. The only difference is the plastic follower. They function perfectly in my M1A. I purchased the stainless M1A mags based on my experience with carbon steel magazines in Vietnam during my tour in the Marines. I use the CHECK-MATE stainless mags for both target shooting and pig hunting. Function of the stainless magazines has been flawless. It's good to know that manufactured in U. S. A. still reflects high quality. The image provided does not do these mags justice. I bought them for target shooting only and made from stainless steel for wear resistance.. The stainless material turned out to be chrome plate over a standard steel mag. This individually sealed magazine is true to the original. Most importantly, it has the welded mag catch in the back, those of you getting a punched mag catch will appreciate this feature. Fit and function are as good as the original M-14 mags. At just over [$], it seems a bargain! This 25 Rd CMI magazine is just as reliable as the 20 rounder. No failures to feed in hundreds of rounds. I put a base pad on my 25 rd mags and they make good monopods. The extra height helps over the 20 rd mags. Just got my CMI 25rd mag. Very impressed with quality of product but the main thing is function is perfect in my m1a. I am a Deputy Sheriff and will be using this mag for duty use along with my CMI 20 rounders. THE MAGS WORK WITHOUT MALFUNCTIONS , THE PERFECT SIZE FOR MY MIA , THESE MAGS & WINCHESTER 7.62 X 51MM NATO AMMO ARE THE WAY TO GO ! Love the M1A and the 308 and it gives you more. Use as a mono-pod with base pad. Check Mate also makes these mags for Springfield Armory. This is the exact same mag, so reliability is as good as it gets.I have 5 of the 25 rounders and all feed and function flawlessly. I bought one of the 25 round mags to try it out. It has worked great many times. I will buy more of these. I have two of these 25 rnd mags and I will be buying more. They work perfectly with no problems at all. Was worried about the extra length, but it's not much longer than the 20 rnd. magazines. Wish that C.M.I. made this one in Stainless! Every time I use this magazine it locks up my mag release lever and I cannot remove the magazine. I have to remove the trigger group first before the magazine can be removed. I have a standard M1A with standard parts. While it is in the rifle it functions fine. All other magazines I've tried worked. It seems to be just this one in particular. Used in a Springfield Scout. Hundreds of rounds, mixed types. Perfect functioning by three of these mags. I'm changing over my ready mags from my old GI mags to these. This is the next best thing to USGI 20 rounders and made by the current manufacturer. I looked for years for a good 15 round mag to be NJ compliant, but all were out of spec. This one sets the standard, and far cheaper than the Springfield Armory 15 round mags. I'll be getting more. I am into traditional marksmanship field-based shooting (like what's taught at Appleseeds) and I have switched exclusively to the 15 round CMI mags because I can get my support arm under the rifle like a garand without touching the magazine. CMI is a current military supplier for M14 mags, so quality is 1st rate. I have never had any issues with any of my CMI M14 mags of any capacity. As the above posters have stated 15 round mags for NJ are the best as that is the most ammo we are allowed to have in any firearm magazine. With that said I did a lot of reading before purchasing my M1A Scout and learned that reliability depends a lot on the mags. I have had zero issues in about 600 rounds with these mags and would highly recommend them to anyone. NJ restricts magazine capacity to 15 rounds, and these are the best M14/M1A magazines you will find. Quality construction and flawless performance. I highly recommend. I agree with the others who gave 5 stars for this quality magazine. I researched this and found that Checkmate Industries is an OEM supplier of M1A/M-14 mags to military customers. That helped my decision to try it, as well as the NJ legal-limit capacity of 15 rounds. In a comparison with the 10- and 15-rnd Springfield mags I have, I found the CMI 15-rounder to have no jams/stovepipes firing several full mags thru my M1A Scout, but ironically I did get one stovepipe using the 10-rounder that came with my rifle, although I admit this could have been due to user error. In addition to this, the CMI mag had similarly good-quality welds, stamping, and finish coating. Also, the CMI mag actually was a bit easier to insert into the receiver when it was brand new than the Springfield mag. Spring tension and effort needed to fill both brands of magazines with cartridges appeared to be identical. It's hard to beat the CMI price at Brownells when all functional aspects are virtually the same as the original equipment. Locks in easy and has good finish.It does not fit magwell properly.The rear area of magazine is too wide and is chewing up magwell on my $1700.00 rifle.Magizine has to be in a extreme roll in order to even fit in magwell.Save your money and buy the O.E. Springfields. CMI mags are an excellent product. 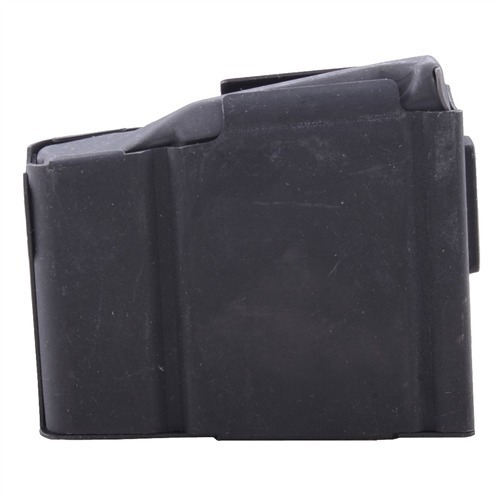 CMI is the only current provider of M-14 mags to the U.S. Military, so these mags are USGI. Additionally, CMI makes the mags that Springfield Armory brands as their own. So save a few bucks and buy the CMI mags. As previously posted the parkerized 20 rd CMI magazine is the current GI issue magazine for M14's in Afganistan and Iraq. It is the same EXACT magazine sold by Springfield Arms... contrary to an earlier reviewer's comments. I have five M1A's from Springfield Arms and Armscorp. I have bought over forty of these magaizes and the fit in each of my weapons is flawless. have 5 and are the best mags i have ever owned! never a missfeed or any other problems. I have a Springfield Armory M1A Loaded with Walnut Stock. This magazine goes in nice and easy and feeds well. Loading all 20 rounds by hand is even easier than loading 20-30 rounds of 5.56 in my AR15. I've known other people to have problems with the Korean made mags but never with these. My friend came back from Iraq about 2 years ago and told me this mag, by C.M.I., is the current issue mag. He is an NCOIC for a JSOC USAF Military Intel team assigned to Army Rangers and an S.F. team. The SDM's all carried M21's and others carried M14's and they were all issued the C.M.I 20 rd mags. I bought 11 of these and not even one malfunction after 2100+ rds so far. NOT ONE! Friday I will order 3 more. This time I'll get the 25 rd mags. Get them now folks...before the price goes up. As others have mentioned, these CMI mags are currently the ones being issued to the military. Also, CMI is the manufacturer of the OEM mags for Springfield, so they are identical to the ones that come from the SAI factory except they don't have the SAI logo. Why spend twice the price for the same mag? The reviewer who said to skip these for the OEM Springfield mags hasn't done their homework on these. Ordered two just to be on the safe side. I'll be buying many more! Fit and function are perfect! Same magazines we use in the US Army. Reliable and well made is really all that needs to be said. Buy them, and buy a lot of them. Thsi is the only M14 mag out there that works other than vintage USGI mags. These are current military issue, so you are getting the real thing. Don't waste money on the import junk, get the Checkmate mag! I have 8 of these and every one performs flawlessly. No magazine feed failures and cycles thru the weapon without a hitch. I've run just shy of 5000 rounds thru these with no problems. I bought 2 of these to try out. I know checkmate was providing mags to the Military. They are very well made and excellent quality. I have 2 M1A's a Milspec receiver M14 and a Springfield SOCOM 16. These fit great in the SOCOM, tight and snug no play. The feed like a dream, no issues. But they would not even seat in MIlspec M14? I have used USGI up to this point in both rifles. I finally had to shorten the latch lug about 1/8"or more for the mag latch to grab it. I was suprised. This is the only issue I have had with these. I would buy a ton if it weren't for this. I've got 6 of these mags. I was under the belief that only Springfield factory mags were worth anything. These are practically identical and work amazingly well. I've burned probably 800 rounds through the group of them and I haven't ever had a FTF or other issue. Once you get the hang of M1a mag insertion, everything works well and only gets smoother with use. This is a great mag for the money. From what I have learned, this is the same mag as the Springfield Armory mag, but for a 1/3 less. The only difference I see is the finish and the Springfield logo. The function has been flawless. I am very glad Check-mate has a great product for a great price. This is my second order. A friend and I went in on our first order and we received the mags in about a week. Glad to see they are still in supply with the election so close. Keep up the good work Brownells. I am a recreational shooter and active duty rifleman. I bought 2 of these magazines initially. The magazines were put threw many rounds and range sessions with 100% reliability. They have held up great and I could not say anything negative about them. I have bought more of these magazines since. Compared to factory magazines they meet or perhaps exceed in quality and construction. At basically half of the price of factory magazines you can not beat this value. Appearance is good, great finish. Locks snug in mag-well as anticipated. Loads and feeds as expected. Great product. The quality looks equal to my Springfield, so 5 stars. But my order came beat up from the shipping. Nine 20 rd mags in a thin lightly padded plastic bag sent through FedEx and then USPS. The bag had holes and tears all over from the mag edges. Each mag had similar markings from the other mag's corners. These were loose in the bag, not even tightly sealed, so the mags just banged around. Very poor judgement in the shipping dept. I would not order again just because of the poor shipping. These Checkmate 15-rd M1A/M-14 mags have performed flawlessly after about 75-rds in my SA M1A Scout, no failures. Actually easier to insert and disengage than the Springfield Armory parts. Nice to have 15-rd mags available to work with NJ state mag cap laws. Fit and finish is as good as the originals in Parkerized steel, and the prices at Brownell's are better, so it looks like a win, win, win situation. Used one of these 5rnd sporter mags for Elk hunting last year. Sits almost flush with the rifle stock. Can be tricky to get out. You need to load 5rnds into the mag an push it out from the chamber, down. Other than that, its a great, quality magazine. I have Springfield M1A 16". The magazine is difficult to put in place, and almost impossible to remove without a tool to push it out from the breach. I have the larger capacity magazines by checkmate industries and they fit well and are easily removed. Mfr Part: M1A5 All steel, Parkerized or stainless steel magazines are built tough to provide dependable, reliable operation during competition and tactical ops. Features a welded magazine body, precision wound spring and steel follower to help ensure reliable feeding, plus includes a removable floorplate for easy cleaning. Models available in steel with mil-spec Parkerized finish that prevents rust and corrosion or weather-resistant, stainless steel. Polished stainless steel magazine includes a Teflon® coated steel follower. Available for the M14/M1A in 5, 10, 15, 20 and 25-round capacity. Mfr Part: M1A10 All steel, Parkerized or stainless steel magazines are built tough to provide dependable, reliable operation during competition and tactical ops. Features a welded magazine body, precision wound spring and steel follower to help ensure reliable feeding, plus includes a removable floorplate for easy cleaning. Models available in steel with mil-spec Parkerized finish that prevents rust and corrosion or weather-resistant, stainless steel. Polished stainless steel magazine includes a Teflon® coated steel follower. Available for the M14/M1A in 5, 10, 15, 20 and 25-round capacity.